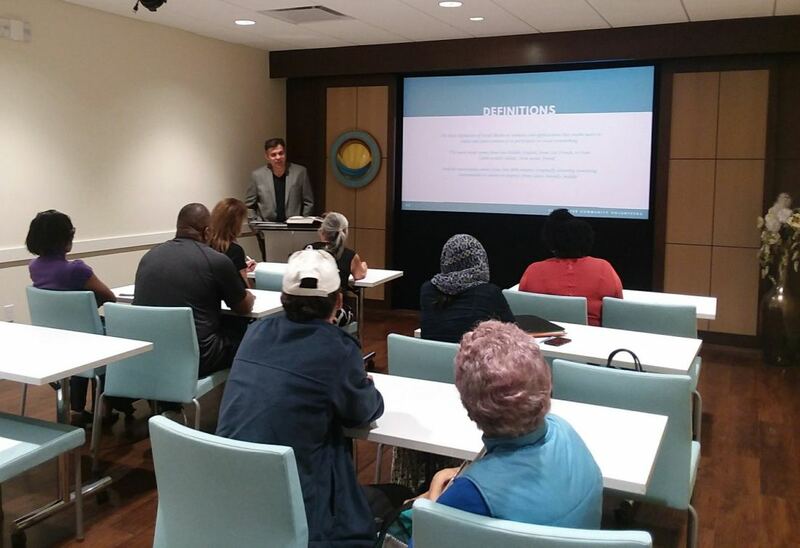 CLEARWATER, Fla. - Feb. 7, 2019 - PRLog -- The Clearwater Community Volunteers (CCV) Center is launching a month of educational seminars on how to use social media for fundraising and communicating a group's message. Barry Coziahr, experienced marketing professional of 30 years, is delivering the seminars – specifically for Tampa Bay nonprofit organizations. Starting on February 9, the seminars are every Saturday at 4pm at the CCV Center in Downtown Clearwater. There is no cost to attend. Mr. Coziahr said, "I deliver these talks to nonprofits because I believe that nonprofits working together on social betterment projects can make a better world." "Social media is one of the largest outlets of information that exists today," said Clemence Chevrot, Director of the CCV Center. "Nonprofit organizations can use this outlet to promote their good works and request the donations they need to continue." For more information about the Clearwater Community Volunteers Center or to RSVP for one of the seminars please call Michael Soltero at (727) 316-5309 or email ccvcenter@ccvfl.org. Clearwater Community Volunteers (CCV) is a non-profit, charitable organization made up entirely of volunteers and was founded by parishioners of the Church of Scientology in Clearwater. CCV produces the "Ginormous Easter Egg Hunt" in Coachman Park in Clearwater every spring, Fashions with Flair fundraiser fashion show and Winter Wonderland. CCV gets their inspiration from Scientology Founder L. Ron Hubbard's article, "Love and Help Children" in his book The Way to Happiness. CCV has raised hundreds of thousands of dollars over the past 25 years for charities such as Nourish to Flourish, Shriners Hospitals for Children Tampa, Boys and Girls Club of the Suncoast, Homeless Empowerment Program, the Make-A-Wish Foundation, the Police Athletic League and The Children's Home Network.